Lately we've been working on phasing out starchy & grain-based carbs from our dinners. It's surprising how little we miss them. 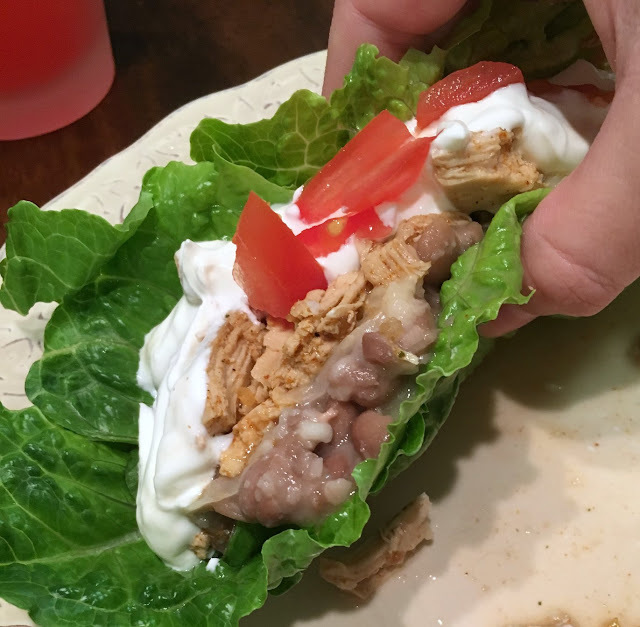 For dinner the other night we made chicken tacos. Honestly, I love corn tortillas, but they weren't even needed. And I didn't feel like I was being "healthy" if you know what I mean. It was the perfect little indulgent pick me up that didn't ruin our "diet." I actually used a new recipe I found on Pinterest from Repeat Crafter Me for Crock Pot Ranch Chicken. 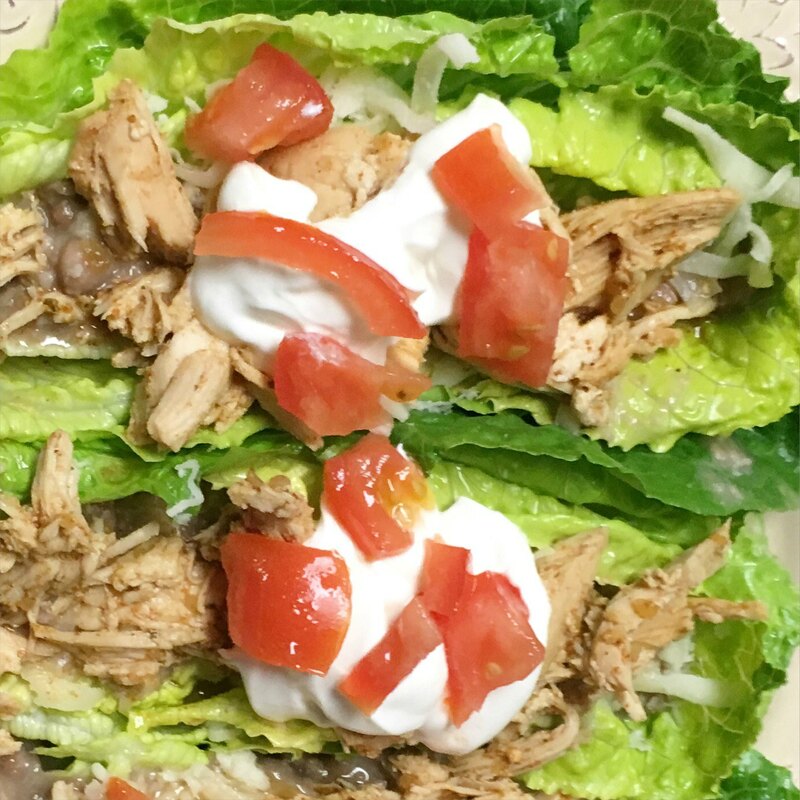 It's super easy, made in the crockpot & literally uses only 4 ingredients. Check out their site that I linked for the super easy recipe. After I had the chicken prepped, I just washed some hearts of Romaine lettuce, & doubled each lettuce leaf up for extra support. Then you just add your toppings. On ours I did homemade pinto beans, quesadilla cheese, shredded chicken, sour cream, & diced tomatoes. After which, you just pick it up & eat it like you would a normal taco. Super simple!! We might try this for our normal ground beef taco recipes too!